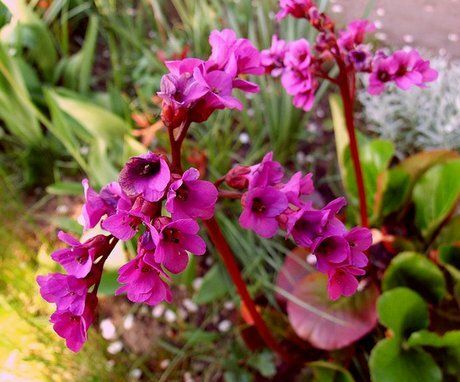 Bergenia is a hardy perennial that flowers from the late spring until the early Summer. It is also referred to by the names Siberian Tea, Elephant's Ears, Mongolian Tea, The Baden, and Pig Squeak. The plant may grow up to 45 cm in size and bears small, clustered, trumpet shaped flowers of white or pink. Siberian Tea is best used as an edging plant. Bergenia cordifolia (Heartleaf Bergenia) photograph by Gravitat~on. Bergenia crassifolia (Siberian Tea) by Eric Hunt. Common Names: Bergenia: Leather; Heartleaf; Purpurea; Superba; Autumn red. Siberian tea, Pig Squeak, Elephant’s ears, The Baden. Flower Details: Pink, white. Small. Cyme. Clustered. Trumpets. Foliage: Evergreen. Leathery. Round, spoon-like. Green or Bronze, turn red or bronze in the autumn. Sow Outside: Surface. Start of spring - before the last frost, or towards the end of autumn. Spacing 12 to 18 inches (30 to 45 cm). Sow Inside: Mix seeds in a moist growing medium, place in a freezer bag, then stratify by refrigeration for two weeks. Germination time: two weeks to six months. Temperature 60 to 70°F (15 to 21°C). Six weeks to two months before expected last frost. Transplant outdoors following the last frost. Requirements: Full sunlight in cooler areas; partial or light shade in warm areas. Soil pH 6.0 to 7.5. Humus rich soil, moist soil. Dry soil may stunt growth. Protect from wind in areas known to be hit by winter storms. Regular watering. Provide low nitrogen feed in the spring. Tidy dead leaves and flowers. Protect from slugs. Propagate: divide every three years to maintain vigor and to create new plants; cuttings in the spring. Miscellaneous: Can tolerate extreme temperatures and large fluctuations. When planting Bergenia outdoors it is best to sow out the seeds on the surface in the early spring; it is important to sow out Siberian tea and similar species before the last frost, as it requires this for germination. If you plan to grow Bergenia indoors first then the seeds should first be placed in moist soil, placed in a plastic bag, and refrigerated for two weeks before shifting to the light. 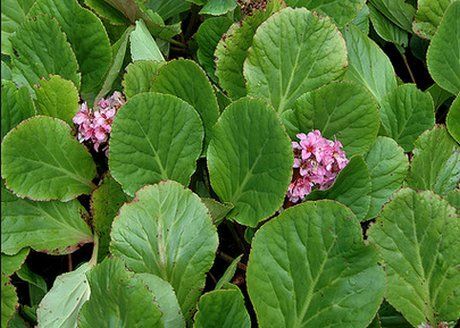 Growth of Bergenia should then continue at a temperature of 15 to 21 degrees Celsius. 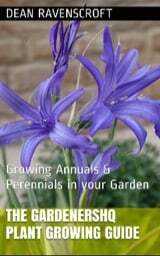 It usually takes from one to six months for this garden plant to germinate. Seedlings should then be transplanted outdoors into an area of full sunlight or a lightly shaded part of the garden. Seedlings should be planted at a distance of 30 to 45 cm in moist soil with a pH of between 6 and 7. Bergenia should be lightly fertilized in the spring, and kept well watered. The use of slug pellets is highly recommend and dead parts of the plant should be removed regularly.